This piece fits the bill for an industrial look to a modern bride's ceremony. Have your florist create a magnificent floral to embellish the golden tones and beautifully frame the space where the exchange of vows will take place. Be sure to check out our selection of oversized urns and vases for added consideration to decorate the space. 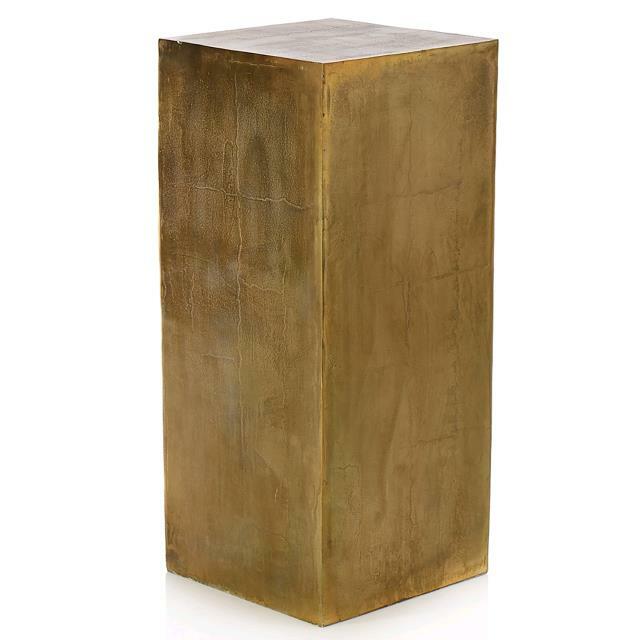 VASE, Gold Trophy Urn 15.25"x 15.75"
URN, GOLD TRUMPET 36" x 11"
URN, GOLD TRUMPET 47" x 11"
** Please call us for any questions on our column gold 15.75 inch x35.5 inch rentals in Fairview Heights IL.